Wood says like many tech companies, the company that developed Mappen makes money by selling user generated data to third party companies. 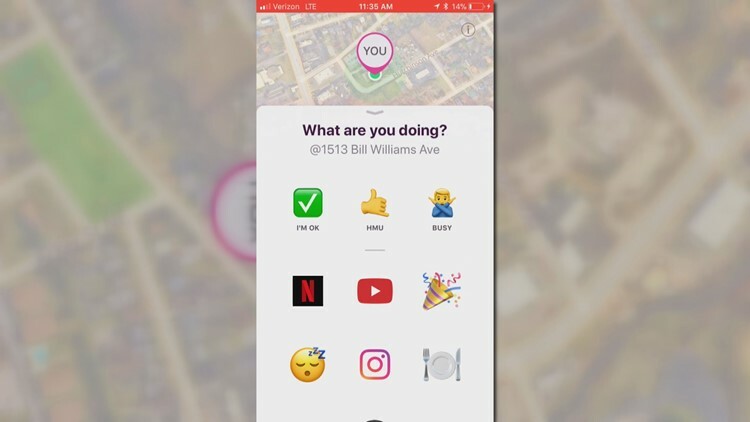 A social media app gaining popularity among teens and preteens is causing concern among parents. Mappen is a location sharing social media app. It shares users location and allows friends to see where they are and what they are doing. "Mappen isn't that much different from what we've seen. I think one of the big differences with it is that it is targeting kids," tech expert Luke Wood said. The app asks to track location in the background when not using the app. Many other apps, including Find My iPhone have similar functions, but Wood says the social element of Mappen is what makes it potentially dangerous. "They're pushing it as a social think. 'Know where your friends are and what they're doing. Know what cool things are happening. Know what's going on,' while it's more or less the wild west out there," Wood said. "Anybody can send a friend request to anybody and voila, you're sharing your location data with who knows." "Our Services are no intended for children under the age of 13, and we do not knowingly collect any personal information from such children. Children under the age of 13 should not use our Services at any time." "They're basically selling your data to third party companies - and I mean everything," Wood said. "Like your name, your birthday, your location data from where its tracking, your likes, your dislikes, the places you go on the internet, your friends - it will ask you to sync with your contacts and it will mine that data as well. Wood says Mappen is just like many other apps in that it wants to collect data so that it can sell it. However, he says he would not let his 13-year-old child have the app on his device. Wood suggests that parents monitor what apps their children use and know what unintended side effects they may bring. 10News has reached out to Mappen's developer for comment, but no representatives from the company have responded.